Constructing a successful digital marketing strategy can take a significant amount of time, research, and training. It is very common to look back on a marketing campaign and realize that it may not be performing to your standards. Therefore, it is important to understand the flaws in your strategy and work with a reputable digital marketing agency to help improve it. Working to strengthen these areas of your digital marketing plan can help your business increase its client list and bring in more revenue. Content marketing is the foundation of digital marketing. This involves using keyword research to determine the most-searched keywords, then incorporating those into your website’s content to help search engines match the key-words in search queries to the on-site words throughout your page. Choosing keywords that are used often and are relevant to the services you provide can help your site rank more highly in search engine results pages (SERPs), attracting more traffic to your website. In addition, ranking higher in the search results also improves searchers perception of your site, content and brand, since most people generally consider the first few results to be more useful and trustworthy. Moreover, keyword research can also leverage your ability to create content that is relevant to your potential clients’ needs. This targeted digital marketing helps your company share its expertise in areas in which potential clients are interested and positions your business as an industry leader. 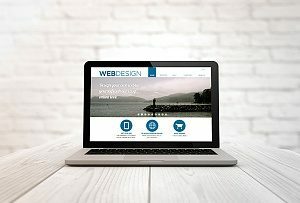 Your business website design is just as important as the content within it. Having a website that is easy to navigate and has multiple menus and links to various pages helps site visitors easily find the information they need. It is also important to have an elegant, modern-looking design to show that your company understands the needs of clients in today’s fast-paced world. Website design also includes properly configuring titles and meta description tags. These appear as a summary of what people can expect to find on your website when they click on it’s specific link in the SERPs. Having meta-tags that give an accurate and appropriate preview of the information behind each link can make them more useful for the people reading them. Finally, include appropriate “calls to action” throughout your site to ask visitors to sign up for email newsletters, provide feedback, or contact your business for more information. All of these web design elements help site visitors view your company as a modern, professional and organized business that values their time and attention, and is skilled in their ability to provide quality legal services. Effective email marketing is more than simply amassing a client list and sending out email “blasts” whenever you like. 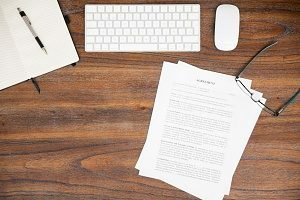 It is important to send emails frequently enough that clients are constantly reminded of your services, but not so often that they are annoyed by the amount of emails they receive. Monthly correspondence may be the ideal frequency to retain the interest of clients without spamming their inbox. Your business should also consider segmenting its email list into specific groups based on clients’ interests, previous products or services received, demographics, and more. Providing your clients with newsletters containing information specifically tailored to them can increase open rates and help develop stronger relationships with those clients by showing them that your business understands their needs. Outreach marketing involves interacting directly with clients and potential clients and encouraging them to interact with your company as well. There are several ways to effectively utilize this form of digital marketing. First, you can incentivize people to click or comment on your social media links by promising to provide them with relevant information. For example, if someone in your network makes a post about having a difficult time understanding a product or service you offer, you may be able to post a link with relevant information to help them answer their questions. Outreach marketing can also consist of asking clients to review your business on sites like Yelp, which could help boost your rankings in SERPs. You can also encourage your clients to recommend your business to friends and family members who may also be in need of your products or services. Moreover, working on making genuine connections with clients by anticipating and meeting their needs can help foster brand loyalty and client retention. Whenever the name, address, and phone number of your company appear online, it is important that the information is displayed correctly and consistently. These listings, which are known as “online citations”, can help your business appear higher in the SERPs because search engines tend to view consistent information to be more trustworthy. This helps search engines display your business’s information in good confidence, and makes it easier for potential clients to get in touch by providing them with the correct contact information. Online citations also help potential clients to feel confident in your business’s ability to provide quality services. Inaccurate citations, or citations that are not formatted or displayed the same way, could blemish your organization’s online reputation. Also, keep in mind that these citations can appear on other websites without any input from your business, making it all the more important to periodically review and correct your citations regularly. While there is no denying that implementing these five marketing solutions can significantly increase your online visibility, brand recognition, and conversion rate, many professionals find it difficult to start. Between the time required to research, plan and generate effective SEO-optimized content, to producing an email newsletter, to coding an well-designed site, digital marketing is a lot of work. Add to that the daily labor of interacting with qualified leads and current clients, and it is easy to see why so many businesses outsource their marketing to professional digital marketing agencies. Thinking about hiring a professional digital marketing agency? 321 Web Marketing has extensive experience serving a variety of businesses with their marketing campaigns. Moreover, by using a variety of digital marketing methods, including content generation, SEO techniques, custom website development, and targeted keyword research, we can ensure that your business reaches more qualified leads in substantially less time. Contact 321 Web Marketing today to get started on your custom digital marketing campaign.